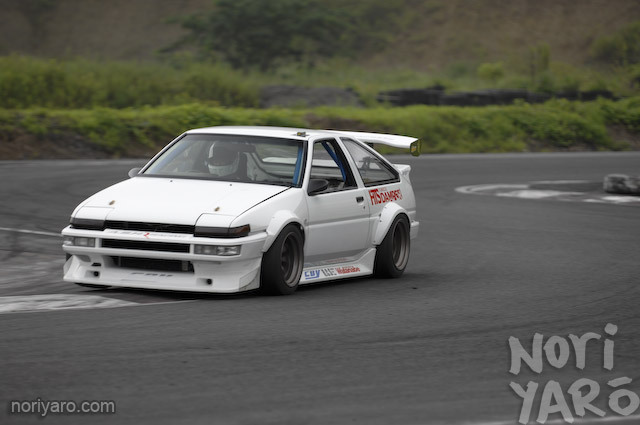 Really like this 86. 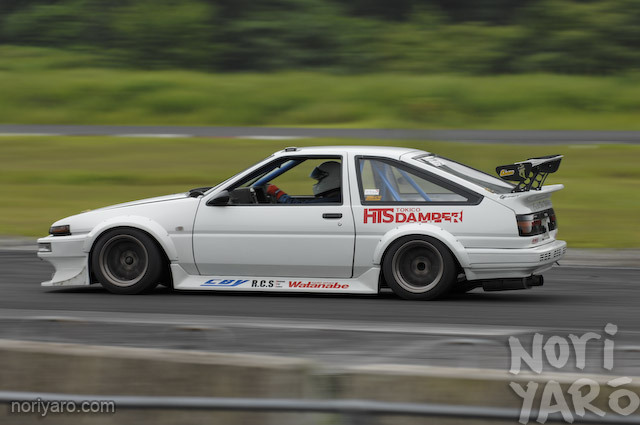 I guess that wing is ok….would much rather it not be there though. Its good to see nice clean 86′s for once, very nice car. Its made to go fast, hence the wing. It’s there for a reason, function over form. The wing bugs me a bit, but yea, function over form here. 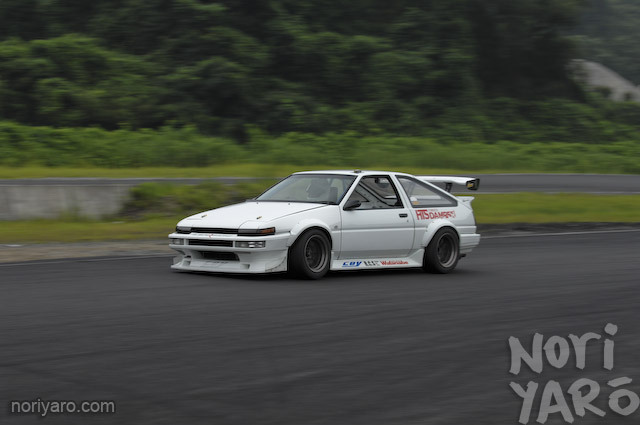 Must be the best looking Trueno I’ve ever seen too! Another 50 pics of this car is very welcome, thank you very much! 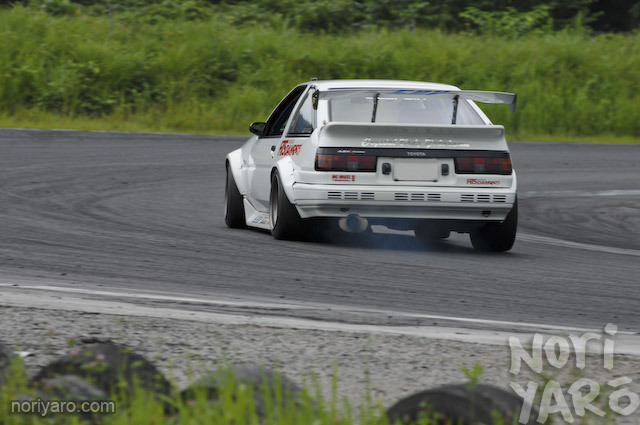 that bodykit kinda reminds me of that purple corolla Tec-Art had .. exept for the backside :D.. 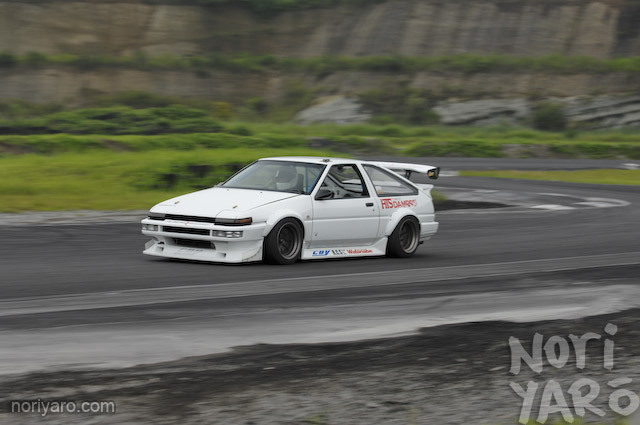 Shut up you clowns this is the CBY ae86! of course it will have intense downforce and aerodynamics. I wish they had one shot of the underside of the car. The wing look nice on it! Its properly done, although I prefer the wing on the Tec-arts D1 86. That looks awesome! Any more details of it anywhere? i love the way this thing looks! Love love love it! 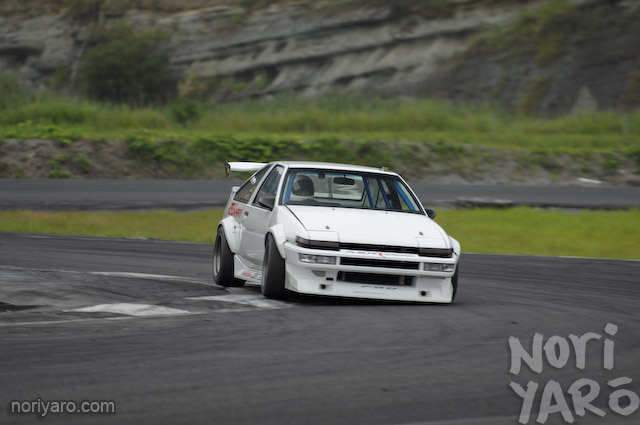 It is my favorite N2 AE86….. 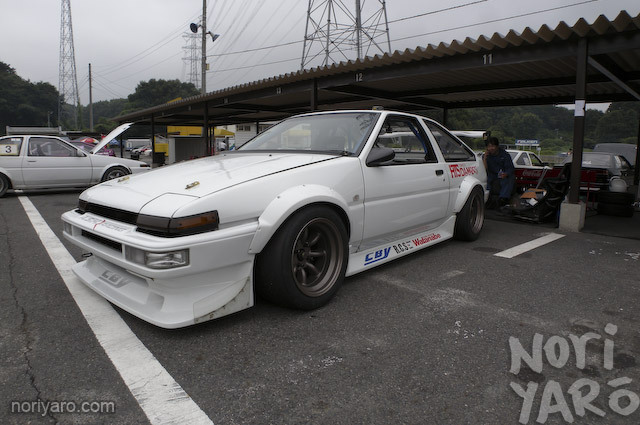 The CBY fenders, front bumper, sideskirts are perfect. Only thing I would change is the rear bumper. Should put in a Run Free rear bumper and it would be my dream car. 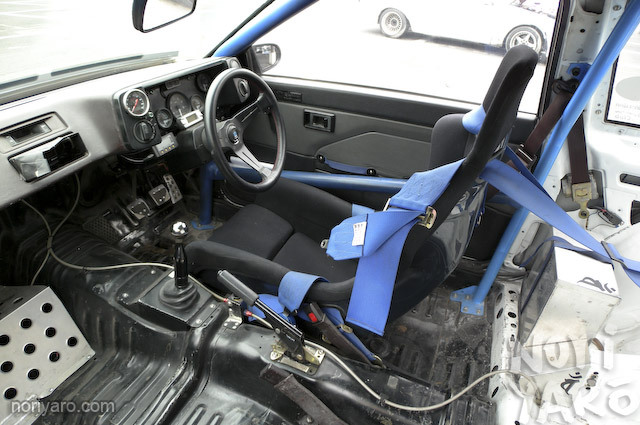 I believe the record was previously held by Kameda-sans black Levin 3 door correct? What is the new record? gotta luv a spoonta with fatness. 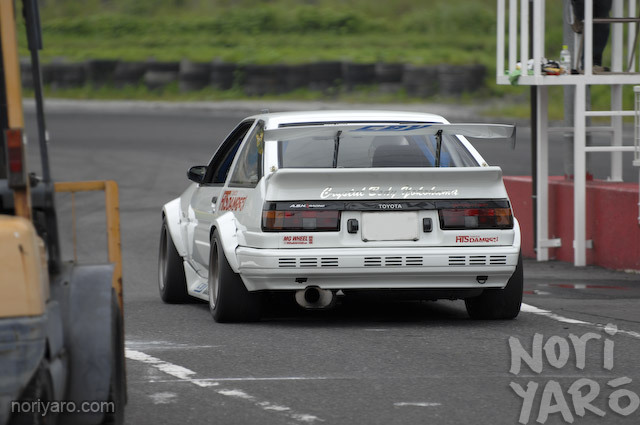 People used to bend the axle housings of RX-7s to get a bit of rear camber, didn’t they? I’m not sure if this car has that though. I know this car recently broke a lap record of some sort…I’m just not sure where. I was really sleepy at this event! Like I said…I was really sleepy and forgot to do some things. Love this thing more than ever with the deep Watanabe’s! Much more better than the old BuddyClub P1′s or 17′s. 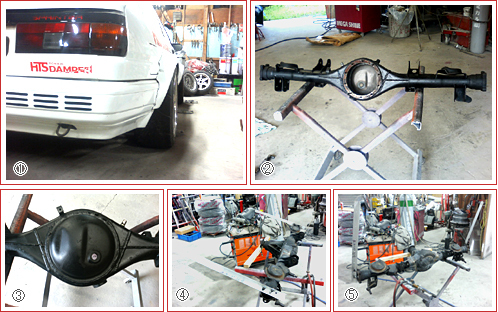 Yes the diff housing has been modified by cutting and welding to acheive a small amount of rear camber. 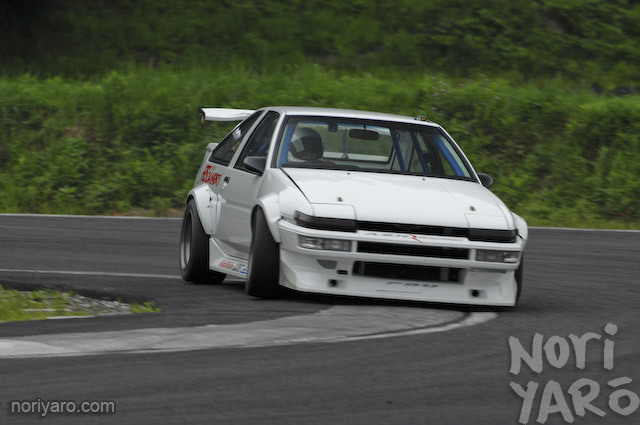 New record at Nikko circuit? Was it previously held by Techno Pro Spirit’s Taro? A very long standing lap time indeed!